More photos of that nice area. 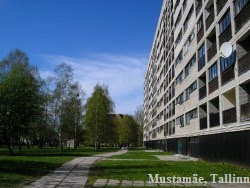 Formerly part of Nõmme, these buildings are located along Tallinna street. Indeed its direction points to Tallinn (behind my back). Now more from Elektroni and Energia streets close to Rahumäe way. I took this photo because this is the only place where the old soviet-time street sign is still in use. Tervise (Health) street leads to Elektroni and Energia streets (but also to Rahumäe (Peace Hill) cemetery -- a common joke). That should be the Järve Hospital, after that a little bit of low forest, then railway, and then Tallinna street and Järve center. Amazing houses at Elektroni street. The backside of them was seen earlier. This one is so unique! I imagine that scientists and physicists used to live in this house and the neighbouring ones. Modest example of beton brutalism. 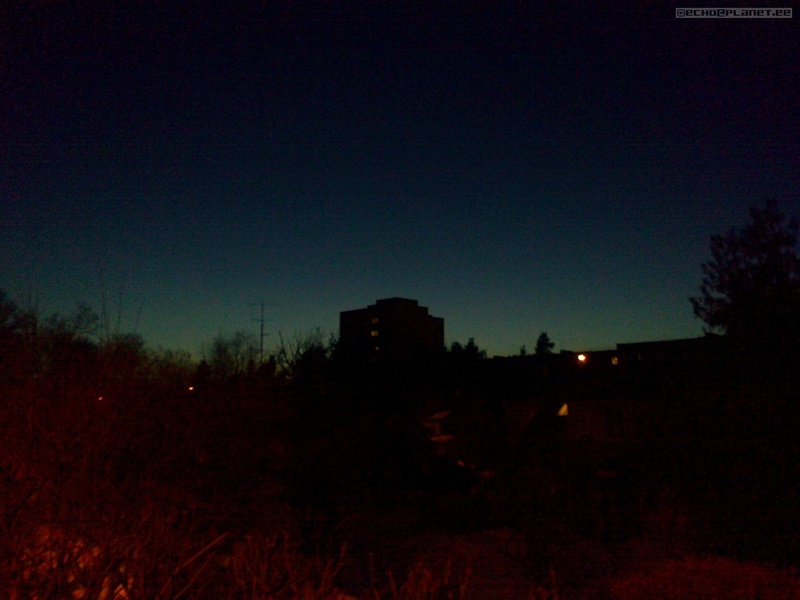 On the other side of Rahumäe way. Seen from below of Järve center. Tallinna street houses further away. Tallinna street tower seen from Pärnu road.